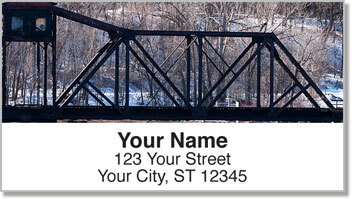 The railroad has a certain way of being both industrial and romantic. Amidst all the metal, smoke and grime is a great sense of adventure! Something about the clickety-clack of a train heading down the tracks, or whistle blowing in the distance brings on a feeling of nostalgia. You love trains because they once captured your young imagination and still do to this day. 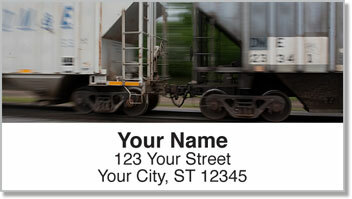 Railroad Address Labels from CheckAdvantage feature eye-catching photographs that celebrate your ongoing love affair with trains of all types. 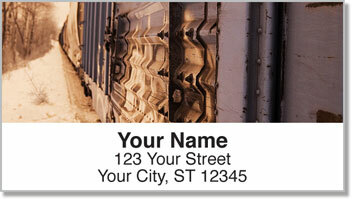 Plus, this convenient, self-adhesive product makes preparing outgoing mail extra easy. No more licking and sticking? Now that's the ticket! 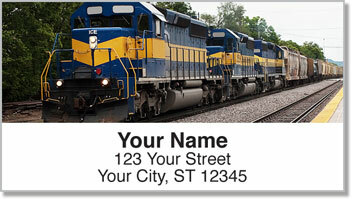 Get your very own Railroad Address labels right now! You can also order this unique design as a set of matching personal checks!